I was the 2018 Multicultural Undergraduate Intern in the Paintings Department of the J. Paul Getty Museum. I graduated from California Polytechnic University-Pomona with a degree in art history. My intended focus is colonial art and architecture of South America, more specifically of my home country, Ecuador. 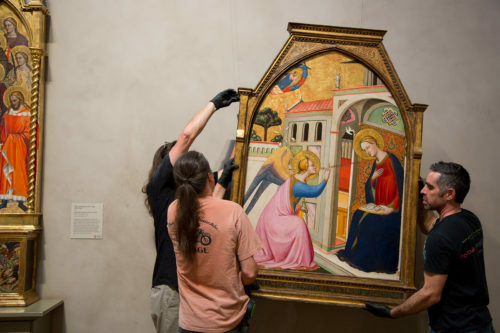 Paintings move around the museum on a weekly basis—why?